There are a number of overtly important details with regards to every wedding though they vary in importance from wedding to wedding. These details might include the location, church, reception entertainment, and even choice of wardrobe for the wedding party. Perhaps the most important aspect of every wedding is the wedding vows. The vows spoken by bride and groom are not only a declaration of their commitment to one another but are also a testament to the love they have for one another and love they want to share with those who attend the ceremony. The vast majority of couples choose to recite and repeat the time honored and standard vows though there are many couples that choose to break with tradition and write and recite their own vows. Those who choose to do so will tell you that by reciting vows they create themselves, they are free to express their true feelings making for more meaningful and heartfelt vows. Many brides and grooms however often find it difficult to find the right words to use when they sit down to write their own vows. Some just simply aren't wordsmiths while others find it difficult to translate their emotions into words. The Clergy Network Can Help You Write Meaningful Vows That You Will Remember FOREVER! Fortunately for those who might be having a hard time writing their own vows there are a great number of Orange County wedding officiants who offer services to help brides and grooms write their own vows. Most of these services require only that a bride and groom meet with an officiant to convey their feelings and cite specific key points so that the officiant can draft vows that reflect the love shared between two individuals. Couples who lead extremely busy lives often take advantage of these types of services too so that they can focus on not only their daily duties but putting their wedding together too. In addition to assisting in the writing of vows there are some Orange County wedding officiants that also offer marriage vows books & wedding readings software that help willing brides and grooms write their own vows. This software works with almost any PC and Mac and is exceptionally user friendly. Moreover such programs generally include options that help brides and grooms write not only their vows but announcements for engagements, bridal showers, and even the wedding rehearsal dinner. Orange County wedding officiants offering these types of programs do so to save a bride and groom time and the hassle of trying to come up with powerful verbiage that properly conveys their emotions. Brides and grooms looking to write their own vows might want to begin the process by looking into these types of services and programs before they ever sit down to write their vows. Even those who are excellent writers can benefit from an outside opinion on how best to express themselves in the written word. Making sure their vows are perfect and express just how deeply they care for their soon to be spouse is of the utmost importance to brides and grooms and is an opportunity they don't want to miss out on. 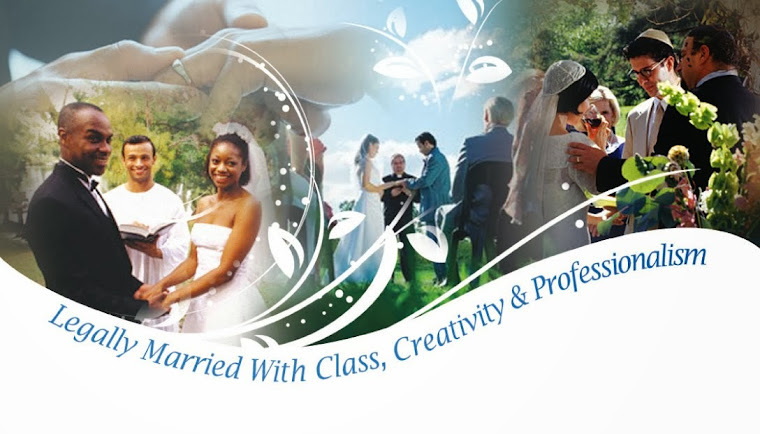 The Clergy Network is Orange County's # 1 Wedding Officiant devoted to helping you have a beautiful wedding ceremony. Find out more about Officiant Selection, Why To Use The Clergy Network, Ceremony Writing, Vow Writing and more.